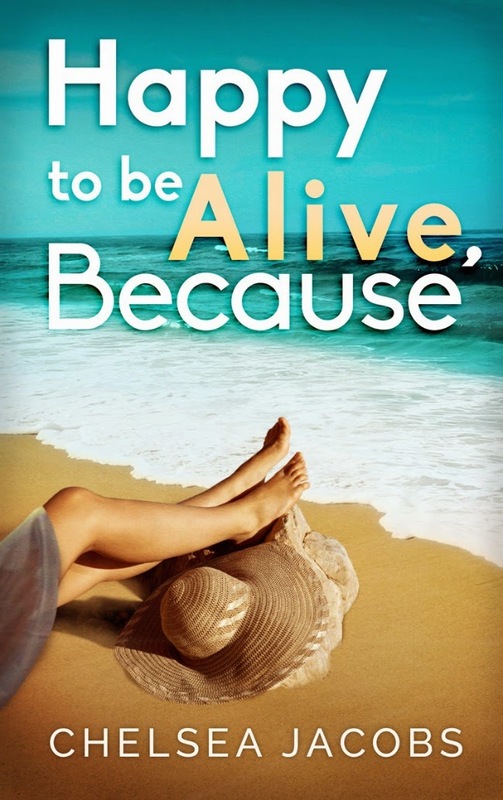 When Avery loses her mom to cancer at 17, she embarks on a final adventure with her best friend-one that takes her to the beach town her mother grew up in. As Avery follows the plans her mom had for her on the trip, she makes friends and slowly learns to love live again. But, one of her new friends is keeping a secret. One that can change their friendship. I love the concept of this book! Avery is armed with a journal to record why she is happy to be alive. I think it's a great idea! This book will leave you with a lot to think about. I know I came away realizing that each day is a gift and that we need to remind ourselves daily of those reasons that we are happy to be alive for. As Abby Fischer's sister seems to be fading due to leukemia, Abby prays for a miracle to save her. When her mother's cousin and his colleague come to the rescue with an experimental treatment of using x-rays to treat cancer, it seems like God has answered all her prayers. But, the treatment has taken the Fischer family to San Francisco 1906. When disaster strikes, Abby feels her fragile faith shatter, only to see it change into something beautiful. I love that Karen Barnett's books are seeped in history! I enjoyed her first novel, Mistaken, immensely. So, I was thrilled to read this one! Not only are there a lot of details about the earthquake, but I found the medical side of the story interesting. I look forward to the next book in the series! 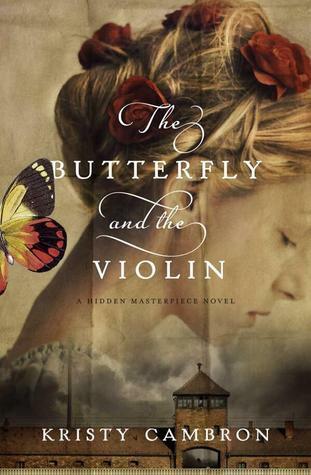 "After her fiancé returns from the Klondike gold rush in 1897, Florence Harms sets about building a new life in her new marriage — even though the lingering effects of illness have left her weak and vulnerable. She and her young husband, Will, work tirelessly to clear the land around their Northwest cabin, content with their modest life. But then a stranger comes knocking and Florence suddenly senses a restlessness in Will’s spirit that she had never seen before. When he leaves her with only a note that tells her he will return before their baby’s birth, she is devastated, and the illness that stiffened her joints returns. Counting the days until Will walks back through her door, Florence busies herself with a Tree of Life quilt displaying a map of the farm they call home. 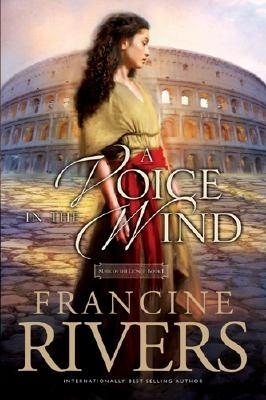 Doubts claw at her heart as Florence struggles to believe Will’s promise to return to her. 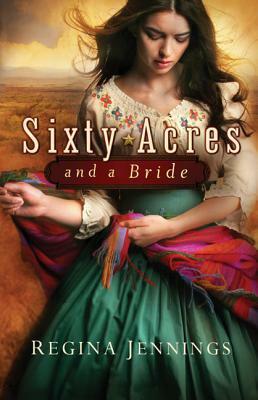 Will her labor of love—and faith in God—sustain her as she waits to see her beloved once again?" 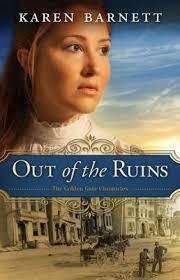 This book is a unique story of love and adventure around the time of the Klondike gold rush. I hadn't read a whole lot about this time in history, so I thought that this book was fascinating! Celia Park has been in love with Ty Porter since the day they met in high school ceramics class. It seemed like all her dreams have come true when they met in Las Vegas and decide to spontaneously marry. 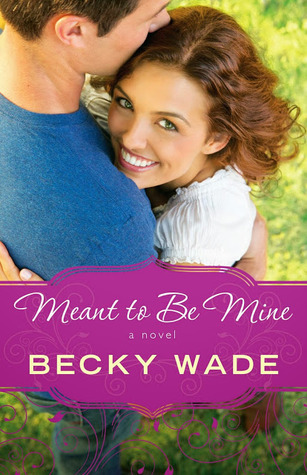 Until Ty wakes up the next morning and realizes that he isn't ready to be a husband to Celia. 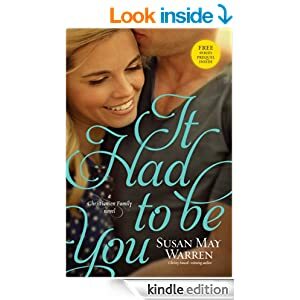 Fast forward five and a half years, and Ty has dropped back into Celia's life, thinking to find closure. Instead, he finds a daughter he never knew about and a woman he might want to spend the rest of his life with. Is it to late to make things work? I thought that this book was well written! I didn't like Ty at first, since he was rather annoying. ;) He didn't win me over with his charm, but rather, with his vulnerability. Celia, on the other hand, was awesome! I enjoyed her humor and witty comebacks. This book is definitely one to put on the summer reading list! This week, Top Ten Tuesday is a freebie, so I figured I would post ten sites that I recommend book lovers check out. Especially if you are a blogger. :) I have been thinking about doing this for some time, since there are so many sites out there that get you free books! The downside is, a lot of them work best if you have a Kindle or Nook. This one used to have just Multnomah Publishing, but (I would assume) they were bought up or something, since now there are all sorts of books. I particularly like the cook books up for grabs. This one offers both electronic books and paper ones. I love the selection on here! Again, they offer both electronic and print books for bloggers to review. This one can be hard to get into, since they are picky. They do have books from three different publishers and offer the books in electronic format or print. I have just been able to get a few paper books from them, but they were well worth it! Again, these copies are for bloggers to review. Strictly for reading on electronics, but a good way to get a hold of old books! Another site that offers books for bloggers to review. This is another one that is super picky (I don't actually belong to it, but my sister does, so I see the fabulous choices they send out! ), but well worth applying for. General, I know, but I have been able to score a ton of free books from their daily deals! If you have an e-reader, this is a site to bookmark, since they offer free and discounted books for your electronic device. A lot of them are quite new books too! Treasures of the North by Tracie Peterson is free for Kindle users! This deal is suppose to be good through June 30th, but if you are interested, I would grab it now! My husband and I have been making Kombucha, off and on, for several years now. Sticking to the traditional process and taste, but interested in trying new recipes to make flavored brews. 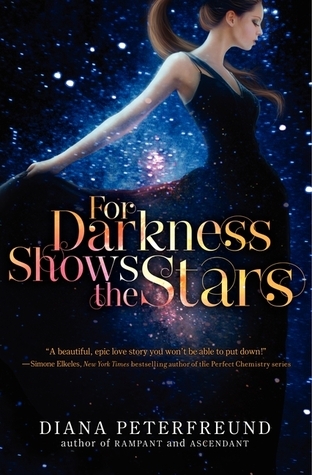 So, when the opportunity came up on blogging for books to review this title, I jumped on it. While I would of been happy for the whole book to be recipes for flavored Kombucha, I was pleasantly surprised to find that this book includes recipes for dressings and dishes to make with your Kombucha. We have thought about tryinga Kombucha vinegar, and that is one of the recipes! I`m also curious to try their dessert recipes. 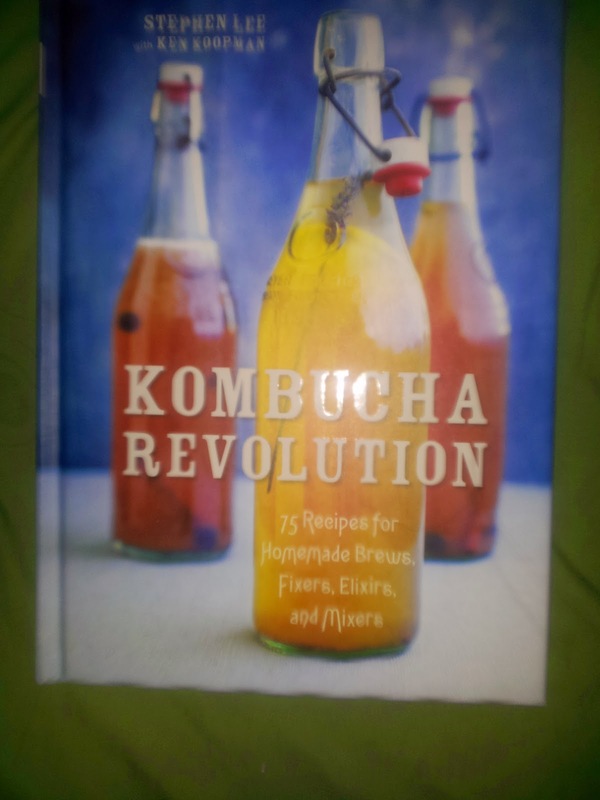 So, if you are a beginner or a pro at making Kombucha, this book will be one you want on your shelf! 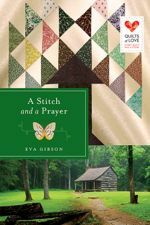 When Jacob Miller's little girl is hit by a car, his family's short vacation to Pinecraft is drawn out until she can recover enough to travel back home to their Amish community in Ohio. But, after losing so much when his young wife and youngest died, it is a small price to pay. 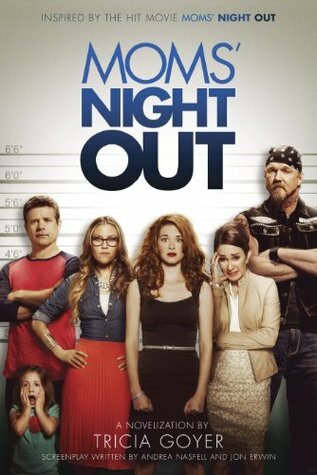 When Rebecca's stat in the hospital puts her family in contact with Natalie, who has just found out her mother hid Amish roots, the family finds out that God has a plan to work things out for His good. 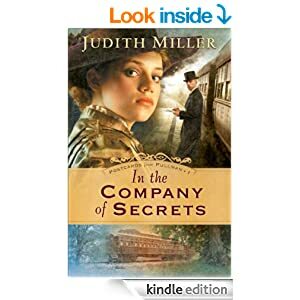 I thought that this novel did a good job of handling both Natalie and Jacob's questions about faith and how their Englischer and Amish worlds collided. I look forward to the next book in the series and hope that it will mean a return of many of the characters that were in this one! 1. Anne of Green Gables was one of the first to come to mind, since you can`t beat the friendship of Anne and Diane. 3. I feel like Lord of the Rings can almost be on here twice, since you have the sacrificing friendship of Sam and Frodo, then the war time kinship of Legolas and Gimli. 4. 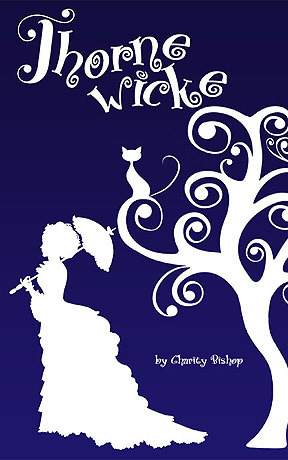 Charlotte`s Web was my favorite story on friendship when I was a kid. 5. Sherlock Holmes. Watson balances his brilliant friend. 6.Harry Potter. Where would he be without Ron and Hermoine? 7. Katniss and Peeta.Sure, he loves her, but he was a great friend to always put her needs first. 8. Percy Jackson, with his best buds. 9. The Scarlet Pimpernel. I love the League! 10. Shirley and Caroline in Charlotte Bronte's Shirley. In the February of 1945, WWII is wrapping up and the Red Army is marching through Prussia. With the Russians approaching, Gisela Cramer joins the stream of refugees, heading towards Berlin. Leaving behind her ailing Grandpa and her cousin, Gisela takes on the task of escorting her cousins two kids to safety. When Gisela's party comes across two escape POW from Britain, she takes on the risk of pretending to be married to one of them in order to keep them safe. 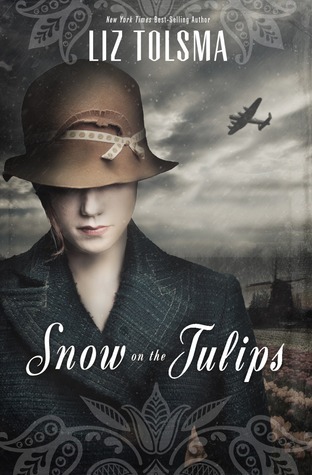 As they rush to get to Berlin, Gisela finds herself falling for the hurting young man. 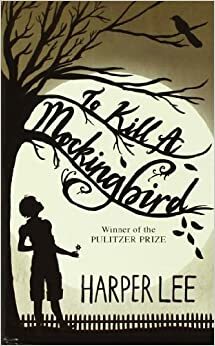 Based on true events in the author's family, this book was incredible! She doesn't sugar coat details, but Liz Tolsma also doesn't make the story unnecessarily violent. I like that both of her novels have been based on actual events. 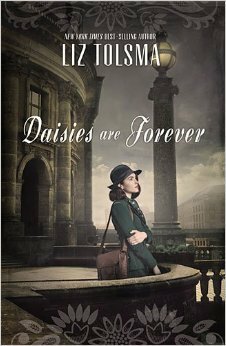 If you find novels set in WWII interesting, then this is a book you need to check out! Enjoy this novel on your Kindle for free today! In a 4 quart saucepan, brown sausage; remove from pan and drain the fat. Place the butter in saucepan add the mushrooms and onions. While this is cooking, start cooking your noodles according to the package's directions. Then ,add flour to the butter mixture until incorporated. Slowly add the milk and cook until thicken. 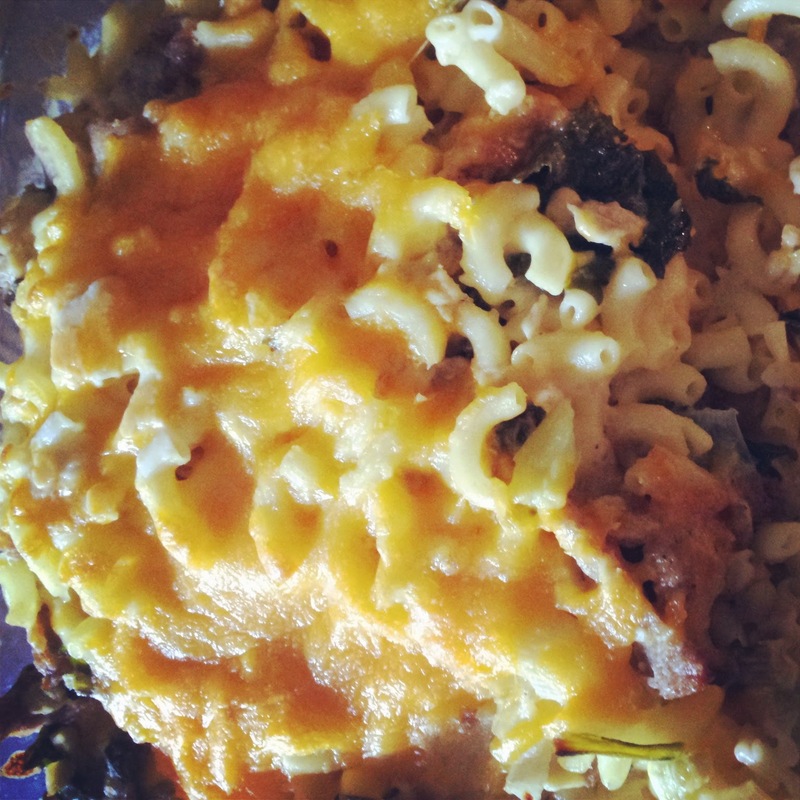 Add the vegetables and 1 1/2 cup cheese. Stir the cooked noodles in with the sauce, then place in 9x13 dish. Put the remaining cheese on top. Bake at 350 F for 30 minutes or until bubbly. What a fun book! 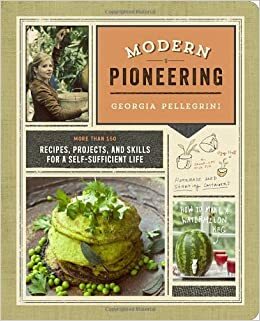 Geordia Pellegrini's latest book is chocked full of recipes, projects, and help for skills needed to be self sufficient. I love a lot of her ideas, since they are versatile. You can use them if you are interested in living off the grid or if you want to get into doing your own preserving. There are canning recipes, baking ideas, help for learning to cure meats, survival tips, basically this book is like the best of pinterest rolled into an easy to reference book. I am excited to use it! I think the ideas I am most excited to try out are the pickling recipes (pickled chard? Yes please!) and cheese recipes. All Allyson ever wanted was a night out with a couple of her friends. The chance to leave her kids with dad and have some adult conversation at a nice restaurant. But, the evening quickly spirals out of her control, leading her to experience things she never experienced before and giving her the chance to appreciate her crazy life. This little devotional is a fun breather for mom's to enjoy. Kerri Pomarolli hits the nail on the head with her short devotions loaded with humor and set with a Bible verse. Mom's will enjoy the chance to reconnect with God and realize that one is not alone with the wonderful, hectic journey called parenting. Both of these books were enjoyable! They are fun to read back to back. 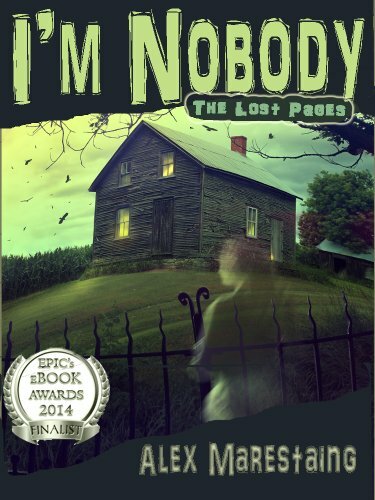 "I'm Nobody! Who are you? Are you nobody too?" And so begins the notes that Caleb Reed begins to receive. Notes from someone named Emily Dickinson. Notes that challenge him to leave the house, something he hasn't done in years. But, who are the notes really coming from? Is this just Caleb going crazy after not being allowed to morn the death of his older sister? Or is there something more to the notes? I have to admit, I wasn't sure how I would like this book when I first picked it up. But, then I had a hard time putting it down! I had to stay up late to figure out what was going on with Caleb and his story. It is a beautiful book of loss and friendship, not to mention hope for those who have lost a loved one. Two thumbs up! I have always found books about WW2 interesting, since there was so much going on in a world that was rapidly changing (in most ways, not for the better). In Saving Amelie, a lot of the focus, historically speaking, is on the genetic testing that the Nazis were doing. 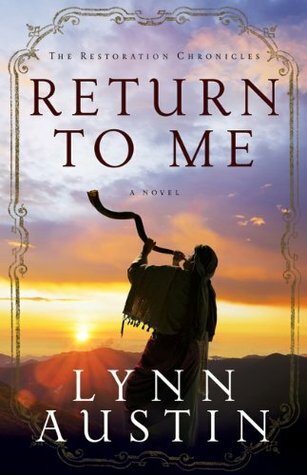 This book is loaded with historical facts and draws you in from the get go. It was the perfect combination, making you think about your faith and where one would of stood if you lived back then. I liked that there were several different characters with their own stories going on. I am looking forward to reading more by Cathy Gohlke! When things fall apart in life, where do you turn? In And life comes back, Tricia Lott Williford sgares openly about how her life made a turn for the unexpected when she suddenly became a widow at 31. Left with two young sons, Tricia had to work through her grief and learning how to handle single parenthood. This book is a wonderful addition to one's church library or personal bookshelf, as we all experience loss. It would be a great tool to give a young widow or widower. It will make you hold your loved ones a little tighter and the importance of finding joy in the moment, since nothing (other than God's love) is a guarantee. 10 years earlier, Aden Reese saved Christina when she fell through some thin ice while skating. Even though her parents view him as one of their children after taking Aden in when his parents dies, Christina can't help but think of him as more than a brother. But, things never stay the same. If Christina doesn't open up about her feelings for Aden, she may wind up losing him forever. I loved this story! It was an enjoyable return to Sugarcreek. I like that Shelley Shepard Gray's stories are like making new friends and catching up with old ones. Christina's story is a charming tale that readers will fall in love with for years to come. I grew up reading Robert Elmer's books, so when the Life Behind the Wall trilogy came up for review through Booklook, I was excited. The three books span over 40 years of Berlin's history. In Candy Bombers, Erich and his cousin struggle to help their mothers help makes ends meet in their war torn city. Showing the early difficulties with East and West Berlin, I thought this story was quite interesting. 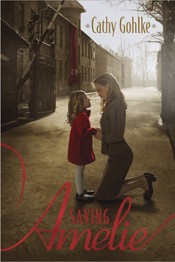 In Beelte Bunker, Sabine finds a bunker from the war that just might help her family escape under the wall. Finally, in Smuggler's Treasure, Liesl lives in a more peaceful time than Berlin has seen for some time. But, when a school paper leads her to dig into family secrets, she is also caught up in protests for the wall to come down. 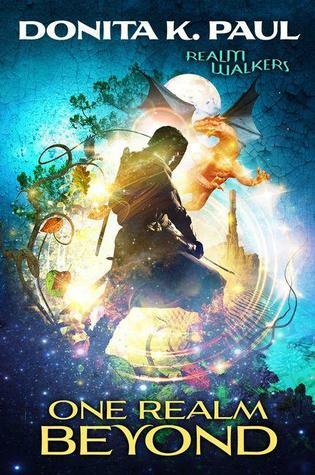 Written for young teens, all of the hero/heroines are 13, but this series will delight older readers too. I very much enjoyed the on going themes and all the history that is included in the books. Written in a way that will keep one reading, these books are far from dry and boring. Two thumbs up!